Nothing beats waking up at the crack of dawn to a thick blanket of snow. The days when the powder is perfectly packed are your days to jump on your snowmobile. When your gliding through the white stuff on your sled, the last thing that should be on your mind is what could go wrong. But what if something does go wrong? You don't want to waste your time with a dinged up ride that can't take you anywhere. Most people can protect their snowmobile for much less than they expect. In case of an accident, a few dollars spent may save you thousands. If something unexpected happens, a snowmobile insurance policy through High Desert Insurance will make is easy for you to get back on your sled as soon as possible. 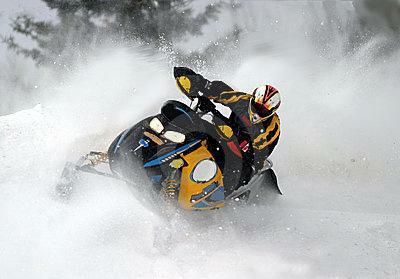 We offer insurance policies that protect you, your passenger, and your snowmobile. As an independent insurance agency, we can shop the country to find you the most appropriate and affordable coverage for your individual needs. When the snow is calling, you don't want to be held up insurance shopping. Go out and enjoy the fresh powder- leave the insurance to us.